- Material: Made form light weight HDPE with plastic cradle. - Size: 4 to 59 CM head adjustment. 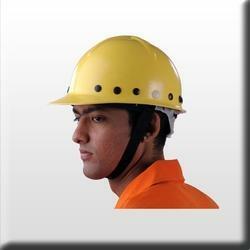 To fulfill the diverse requirements of our clients in the best possible manner we are passionately engaged in offering a wide range of Safety Helmet. Our company is well known for manufacturing and supplying of Solar Fan Helmet. These Solar Fan Helmet are highly appreciated among our customers for the quality. It is boon for enjoying free cool air on daily basis. With an impressive growth record in this highly competitive industry, we are providing a qualitative range of Fire Safety Helmet. 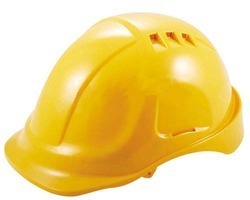 We are the conspicuous trader of qualitative Safety Helmet that we provide at most genuine rates.